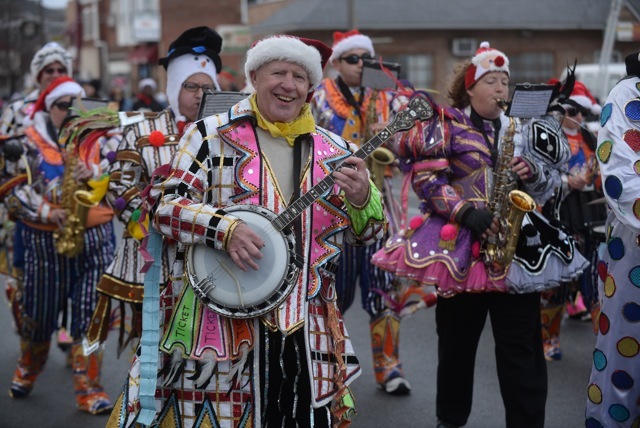 The Coatesville Christmas Parade is a cherished area holiday tradition. The event, which is Chester County’s largest hometown parade, will be held on December 1 in downtown Coatesville. The festive annual parade (http://coatesvillechristmasparade.com) will get underway at 10 a.m. with Strode Avenue and Lincoln Highway as its starting point. The parade will conclude at the performing and judging area at 11th Avenue and Lincoln Highway. Originally a community project in the 1960s, the parade was taken up by the Jaycees back in the 1970s. Its popularity started to wane in the 1980s but then the community parade experienced a resurgence in interest in the 1990s. It has been going strong ever since. This year, more than over 125 entries will entertain spectators along the Lincoln Highway. Featured attractions will include everything from dancers swirling their batons to local contractors showing off their custom-crafted floats. Churches will participate by marching in the parade and by singing Christmas carols on Lincoln Highway prior to the start of the parade. There will also be dance academies, cheerleading groups, hip-hop dancers, baton twirlers and larger-than-life cartoon characters. An automotive competition featuring Antique, Classic and Modified autos will be competing for prizes. Other competitions will include Best Appearing Fire Apparatus, Best Appearing Police Vehicle, Best Appearing Float sponsored by a non-profit organization, Best Appearing Float sponsored by a for-profit organization and Best Appearing Group. The Best Appearing Personality always goes to Santa Claus. At this year’s parade, Santa will bring up the rear – waving to the crowd while riding on a Coatesville Fire Department truck. On December 1, it will be time for the QVC West Chester Christmas Parade on Market Street (610- 696-4046, http://www.downtownwestchester.com). The 39th Annual Christmas Parade which is scheduled to get underway at 7:15 p.m. with the lighting of the borough’s Christmas tree. Runners in the Jingle Elf Run will take off at 6:30 p.m. The parade will highlight the arrival of Santa in his sleigh. As an added attraction, there will be a “Holiday Village” from 5-9 p.m. on High Street between Gay and Market streets. The Greater West Chester Chamber of Commerce’s 38th Annual Christmas Parade is presented by QVC and will be televised on Christmas Day. Claymont Christmas Parade and Holiday Happenings (www.claymontchristmasparade.com) are slated for December 1 in nearby Claymont, Delaware from 10 a.m.-2 p.m. The parade route is along Philadelphia Pike from Maple Lane to Darley Road in Claymont. 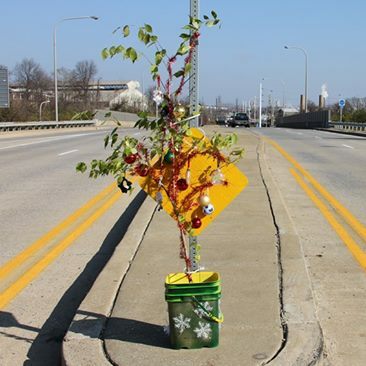 Ascension Church (3717 Philadelphia Pike, Claymont) will host “The Christmas Weed Ceremony” after the parade. Hot chocolate and cookies will be served, and craft items will be for sale. From 11 a.m-12:30 p.m., the 12th annual Gingerbread House Contest will be held at Claymont Stone School (3611 Philadelphia Pike, Claymont). The “Post Parade Celebration” will be held from noon-2 p.m. at Claymont Library (400 Lenape Way, Claymont). After watching the Claymont Christmas Parade, guests can cast their votes for the Stone School Gingerbread House Contest and enjoy light refreshments, a visit from Santa and the festive holiday sounds of the Sinerjé Clarinet Quartet. 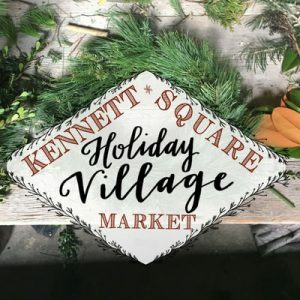 Kennett Square (historickennettsquare.com) will swing into full holiday mode with a variety of activities this weekend. The 2018 Kennett Square Holiday Village Market will be held at The Creamery of Kennett Square (401 Birch Street, Kennett Square) on December 1, 2, 8 and 9 from 11 a.m.-5 p.m. each day. Visitors will be able to shop from 80 artisan and vintage vendors at the market. In addition to finding gifts for the holiday, they also can make a Christmas tree purchase from fresh tree vendors at the market. And, they can quench their thirst with mulled wine and hot cider as well as enjoy food from three participating food trucks. Other special activities include an ice sculptor on Saturdays, photos with Santa on Sundays, wreath-making workshops, live reindeer on Sundays and live music by 11 different acts over the four-day run. The Kennett Holiday Village Market was initiated by Kennett Township supervisor Whitney Hoffman who wanted to bring the essence of vibrant European Christmas Market to the Kennett area. 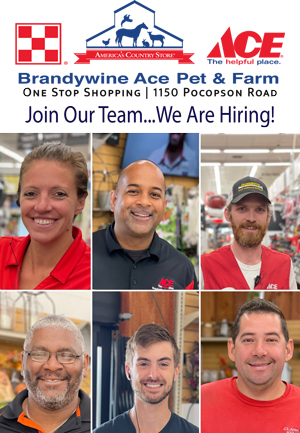 The goal of the Holiday Village Market to give local and regional artisans an opportunity to sell their wares, to provide visitors another great reason to visit Kennett Square and to highlight the revitalization of the Birch Street corridor. Another way to get in the holiday spirit in Kennett Square is by taking a special seasonal ride. Horse-drawn carriage rides will be offered in downtown Kennett Square on December 2, 9, 16 and 23 from noon-3 p.m.
Carriages rides leave from the northeast corner of State and Union Street (in front of Genesis HealthCare Building) and cost $5 per person (children 5 and under are free). The carriage ride is about 15 minutes. Last carriage ride leaves around 2:45pm. Carriage rides are weather dependent (temperature, wind and precipitation). The health and safety of the horses are the top priority for carriage ride provider – Lisa Knox of Fox Meadow Farms. On December 1, the Kennett Symphony will present “Pops Goes the Holidays” at West Christer East High School (450 Ellis Lane, West Chester, www.kennettsymphony.org). The show will feature Kennett Symphony Music Director Michael Hall, the Kennett Symphony Children’s Chorus and soprano Kara Mulder. Patrons are invited to celebrate the season with the Kennett Symphony when it performs a variety of holiday music favorites. Mulder, a rising star in the vocal world, will serenade the audience with beautiful renditions of timeless carols. Fresh off its joint performance with the Philadelphia Boys Choir, the Kennett Symphony Children’s Chorus will add its voices to the festivities. The program includes “A Christmas Overture” (Hoffheins), “March of the Toys” (Herbert), “Messiah: I know my Redeemer Liveth; Rejoice Greatly” (Handel), “Nutcracker” selections (Tchaikovsky), “Ave Maria” (Schubert), “Most Wonderful Christmas” (Sheldon), “Somewhere in My Memory” (Williams), “How the Grinch Stole Christmas” (Brubaker), “A Celtic Nativity” (Wendel), “I Saw Three Ships/Jeanette Isabella” (Stephenson), “Sleigh Ride” (Anderson), “What Child Is This” (Tysik), and “Sing A Long” (Finnegan). The show at West Chester East High School auditorium will start at 7:30 p.m. Tickets are $53 and $58 for adults and $10 for students (18 and under). The well-attended annual “Critter Sale” is scheduled to be held now through December 2. The critter volunteers have been creating all year long using their imaginations and unique talents making thousands of ornaments for the sale. Prices will range from $5 to $35, with specialty items from $50 to $250. These mission-aligned, handcrafted and environmentally friendly ornaments make distinctive gifts and benefit the Volunteers’ Purchase Fund, and Art Education and Programming. For years, a popular traditional holiday event has been Candlelight Christmas in Chadds Ford presented by the Chadds Ford Historical Society (www.chaddsfordhistory.org). 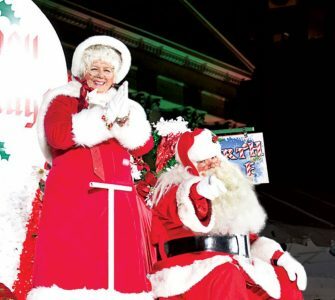 For more than three decades, it has been one of the area’s highly anticipated holiday events. This year, the Chadds Ford Historical Society is presenting “Candlelight Christmas — Symbols of the Season” on December 1 at the Society’s Barn Visitor Center (1736 Creek Road, Chadds Ford) and the Barns-Brinton House (630 Baltimore Pike, Chadds Ford). Visitors can join the Heritage Dancers as they make merry at the Barn Visitors Center and partake of some desserts before heading next door to the Springhouse to look at Christmas books from past and present. There will be a celebration at the John Chads House (c. 1725) with rooms of live greens and symbols of the season including arks, creche sets and toys. Taste treats at the venue include Portugal cakes, Stolen and spiced tea cooked on the open hearth. The merriment continues at the Barns-Brinton House where visitors can grab a glass of wine and toast to the season in this tavern dating back to 1714. As a fiddler entertains colonial revelers, visitors can warm up by the hearth and sample homemade soup, bread and Spritz cookies. They can also tour the historic rooms which are decorated with Santas, gingerbread, wreaths and handmade ornaments. On December 1, the West Chester Public Library will hold its Eighth Annual Holiday Home Tour, featuring nine homes in the borough, along with a special addition. These homes, all new to the tour, will be beautifully decorated for the holidays. For the first time, Holiday Home Tour guests in 2018 will have two tour options to choose from: The Standard Tour (tickets $40 in advance, $50 day of tour) offers a peek into nine beautiful homes as well as the Chester County Art Association and the Antique Ice Tool Museum. The VIP Tour includes all of the above plus a tour of two floors of a very special home on Marshall Square and a small box of Éclat Chocolate. 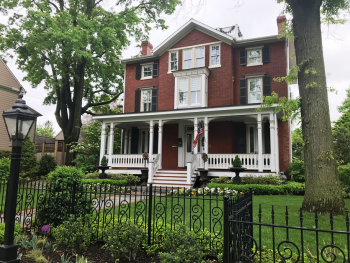 There are a limited number of VIP tickets available to see this West Chester Preservation Award winner, which was previously featured on the 2017 Chester County Day Tour. Built in the 19th and 20th centuries, the houses on the 2018 Holiday Home Tour show the different ways the owners’ personal styles fuse historical architectural features with their collections, artwork, and furnishings, be they modern or antique. Architectural styles include Victorian, Cape Cod, and Colonial Revival, and most of the homes feature original millwork, floors, and fireplaces. 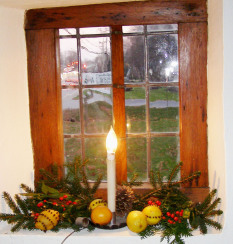 From November 30-December 2, Hibernia Mansion (Hibernia County Park, off route 340, Wagontown, 610-383-3812, http://dsf.chesco.org/ccparks) will host its annual Candlelight Tours. The tours will be presented from 6:30-9 p.m. on Friday and Saturday and 2-4 p.m. on Sunday. The event at Hibernia Mansion features costumed tour guides portraying former mansion owners and their families. The 19th-century mansion will be decked out for the holidays. 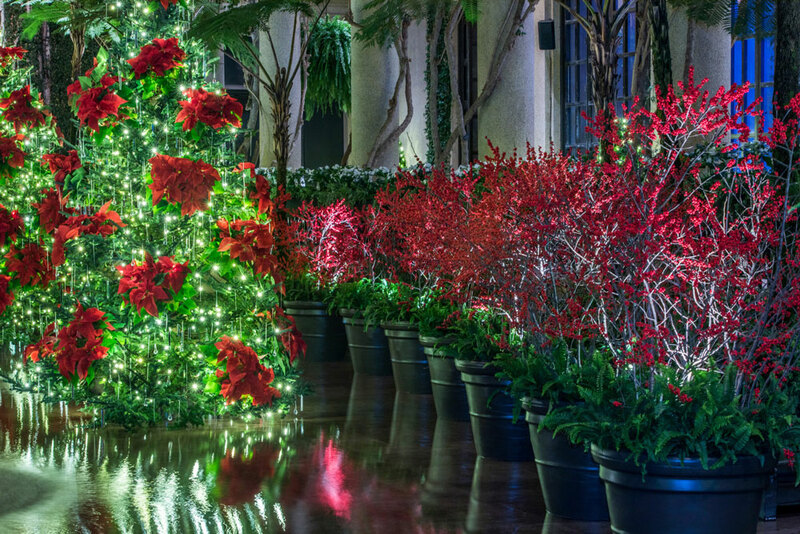 Live music will be performed in the Ballroom and Santa will entertaining friends each day. The mansion, as seen today, reflects the changes of lifestyle and social status of its various owners over the past two hundred years. At the turn of the 20th century, Hibernia became the country estate of Colonel Franklin Swayne, a wealthy Philadelphia lawyer, who added extensive renovations and lavish entertainment for his personal pleasure. Among those pleasures was his love of fox hunting. The tour includes a stop in the Mansion’s Ballroom, where the Friends of Hibernia will provide holiday cheer and refreshments. Admission is $5 per person with children under 12 admitted free. If your list of holiday gift recipients includes someone who collects sports cards or sports-related memorabilia, then you should definitely check out this weekend’s Philadelphia Sportscard & Memorabilia Show, which is running November 30-December 2 at the Greater Philadelphia Expo Center (100 Station Ave., Oaks, 484-754-3976, http://www.phillyshow.com). The show will feature dealers from all over the country who will be selling a wide array of sports-related items such as game-used equipment, autographed balls, posters, magazine, game programs and autographed pictures. Visitors can also find a huge selection of collectors’ supplies including protective sheets, binders, ball protectors and display cases. A major focus of the show will be trading cards — especially baseball cards. Show attendees will be able to find everything from ultra-rare vintage Babe Ruth and Mickey Mantle cards to the latest releases. All sports will be represented, including football, soccer, ice hockey, basketball, wrestling, Olympics and UFC. 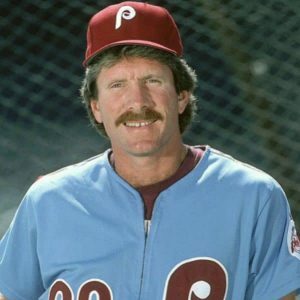 The show will also have a large number of live guests — autograph-signing guests including Mike Schmidt, Larry Holmes and Tony Dorsett. Admission to the show is $8 per day or $18 for a weekend pass. Bitter is not better. No matter how hard some national coffee shop chains try to convince you otherwise, there is no truth to the statement “bitter is better” when referring to fresh-brewed coffee. Bitter coffee is the result of a pot of coffee sitting on a burner too long, brewing the coffee using beans that are too finely ground or making the brew with oil-covered, dark-roasted beans. When beans are roasted dark, oils rise to the surface. The taste gets bitter and the true flavor of the beans used is no longer in play. It’s like taking a prime piece of filet mignon and cooking it to a charred, well-done state. No matter how good the cut of beef was, all you taste is dry, overcooked meat. If you want to experience good coffee brewed from properly-roasted, freshly-ground beans, there is an event this weekend that you should check out. On December 1 and 2, the Sixth Annual Coffee & Tea Festival Philly will be held at the Greater Philadelphia Expo Center (100 Station Avenue, Oaks, 631-940-7290, http://www.coffeeandteafestival.com). More than 50 exhibitors from around the country will be offering tastings of their finest coffees and teas and introducing visitors to new products. Industry professionals will talk about the coffees and discuss pairings with food. The exhibit hall will feature a wide array of sweet and savory foods to compliment the spectacular collection of local and national coffees and teas. As an added attraction, the first 500 attendees to walk through the doors each day will be handed a free gift bag. The festival will be open from 10 a.m.-5 p.m. on Saturday and 10 a.m.-4 p.m. on Sunday. Admission is $20. The special one-day event will explore the Western Front of World War II and visit with Axis and Allied armies. Activities through the day include two exciting battles, living history, vintage gear, live medical demonstrations on “wounded” soldiers at the Red Cross Field Hospital, weapons and vehicles. Fort Mifflin, which was originally called Fort Island Battery, was commissioned in 1771. It was also known as Mud Island Fort because it sits on Mud Island (also known as Deep Water Island) on the Delaware River near the Philadelphia International Airport. During the American Revolutionary War, the British Army bombarded and captured the fort as part of their conquest of Philadelphia in autumn 1777. During the siege, 400 American soldiers held off more than 2,000 British troops and over 250 ships that had been responsible for launching an endless barrage of cannonballs into the fort. After five days of holding off the British, the American troops evacuated the fort after having successfully denied the British Navy free use of the Delaware River. “World War II: The Battle for Schmidt At the Fort” will run from 10 a.m.-4 p.m. Admission is $10 for adults, $8 for seniors and veterans and $6 for children (ages 6-12). From November 2-December 1, visitors to Joanna Furnace (1250 Furnace Road, Geigertown, 610-286-0388, www.haycreek.org) will be transported back to the Christmas season of 150 years ago — back to the joyous celebration of the Christmas of 1866 with the iron master’s family and village residents. 1866 was a great year at Joanna Furnace, Ironmaster Levi Bull Smith’s sons and other village young men have returned home from the War and have had almost a year to renew their lives. Joanna Furnace Iron Works is running at full capacity and producing almost 1400 tons of iron. And, there is talk that a new railroad is going to be built and bring even more prosperity through the area. Times are great at Joanna Furnace and the villagers want to share their excitement. At “Christmas at Johanna,” visitors are invited to join with the village residents as they prepare for their Christmas. Live music and Christmas carols will be heard throughout the village to delight the guests. A reverent look at 19th-century Christmas spirit, bonfires, caroling, food, gift ideas, post-Civil War dancing, a salute to Civil War veterans make your family’s visit a memorable experience. The iron works village has been decked out with greenery and period decorations to capture the mid-19th century holiday spirit. Actoivity will take place all around the 26 acres of the furnace site and a large portion will be illuminated by candlelight and bonfires. More than 1,000 glowing luminaries will illuminate various furnace walkways. Visitors are encouraged to explore the furnace complex by following these clearly defined pathways. Attendees will be able to browse among holiday crafts items sold by dozens of vendors in the annual Christmas Craft Market. Guests will find one of-a-kind gifts such as hand-carved items, various handcrafted fiber and woven items, unique Christmas craft items, baked goods, cookies, candy and additional sought-after food gift items. Live entertainment will be provided throughout the weekend by the Joanna Furnace Carolers. Another special attraction will be an old-fashioned wagon ride with the tractor slowly weaving through the light-painted historic site along the luminary-lit pathways. Admission is $7 with children (under 12) admitted free. The “Deck the Alley Open House” could only take place at one location — Elfreth’s Alley (Elfreth’s Alley and Elfreth’s Alley Museum, 126 Elfreth’s Alley,http://www.elfrethsalley.org). Elfreth’s Alley is America’s oldest continuously occupied residential street. On December 1 from 3-7 p.m., its residents will once open their doors and welcome holiday visitors. The small alley was a nice place to live in 18th-century colonial Philadelphia. It is still a nice place with preserved architectural details such as bond brickwork and cedar shingle roofs. The homes also have impressive interiors, which are open to the public only twice a year. Admission to “Deck the Alley” is $25 for adults, $10 for children (under 16) and $60 for families. All proceeds support the education and preservation programs of the Elfreth’s Alley Museum. Included with admission are seasonal refreshments, a display of a Pennsylvania Dutch upside-down Christmas tree, performances by colonial carolers, an appearance by Belsnickel and visits from Benjamin Franklin and Dolly Madison. This weekend is also time for several similar theatrical presentations — not on stages but rather in churches and in a museum. Every year, this is the weekend that Saint Lucia Day festivities begin. The American Swedish Historical Museum (1900 Pattison Avenue, Philadelphia, 215-389-1776, www.americanswedish.org) has the first. Lucia is a Swedish festival that began in 17th century Sweden as a festival of light in the midst of the darkest days of winter. In America’s Swedish communities, the popular annual event features a Lucia procession with traditional songs and dances. Lucia, wearing a white gown and a crown of candles, leads the procession, followed by girls dressed in gowns who act as her attendants. Boys also join the festivities as starboys. The American Swedish Historical Museum will present its Lucia Celebration and Julmarknad (Christmas Bazaar) on December 1 from 11:30 a.m.-4:30 p.m. The Lucia Processions will begin at 1 and 3:15 p.m. Swedish needlecrafts, pastries and other delicacies will be for sale in the Julmarknad, while imported gifts, crafts and Christmas decorations will be featured in the Museum Gift Shop. Admission is $12 for adults, $4 for children (ages 4-12) and free for children (under 4). Reservations are not required, but tickets may be purchased online in advance. The primary travel plans for Santa Claus include riding in parades and traveling by sleigh. But, these are far from the jolly old guy’s only means of transportation. He also makes visits using a variety of modes such as helicopters, horse-drawn carriages, fire trucks, open-air convertibles, speed boats, hot air balloons and trains. The special “Santa’s Express” trains (which feature heated cars decorated for the holidays) will run on December 1, 2, 8, 9, 15, 16, 22 and 23 at 11 a.m., 1 and 3 p.m. There will be additional departures at 5 p.m. on December 1, 2, 8, 9, 15, 16, 22 and 23. The Strasburg Railroad will also be running its “Night Before Christmas” train on December 1, 7, 8, 14, 15, 21 and 22. On November 30 and December 1, Rockwood Park (4651 Washington Street Extension, North Wilmington) is hosting its 17th annual Holiday Open House with live entertainment, fun festive children’s crafts, costumed characters, refreshments, food trucks and free photos with Santa. The free event, which runs from 5-9 p.m. both nights, also includes the site’s Youth Entrepreneur’s Secret Santa Shoppe selling gifts for the whole family, tours of the holiday display in the museum and a joyous light display in the gardens surrounding the Mansion and Carriage House. Another major reason is the annual staging of “Holidays at Hagley” — an event that is always one of the most eagerly anticipated holiday attractions in this area every year. Special events and tours will be held throughout the holiday season including “Candlelight Tours” at 7 p.m. on December 4, 6, 11, 13, 18, and 27; “Christmas in Odessa” on December 1 from 10 a.m.-5 p.m.; “Storybook Time” on December 5 at 11 a.m. and 4:30 p.m.; “Festive Foods/Hearth Cooking Demonstration” on December 8, 15, and 29 from 10 a.m.-3 p.m.; “Children’s Holiday Tea Party” on December 9 at 2 p.m.; and “Curator Candlelight Tour” on December 20 at 5 and 7 p.m. The Grand Illumination Celebration showcases thousands of tiny white lights outlining the Village’s buildings, colorful lights with less-than-common colors (teal, peach, and fuscia) adorning the trees and shrubs and a landscaped backdrop featuring a group of reindeer glowing in white light. Santa will arrive to turn on the lights and officially mark the beginning of the event. 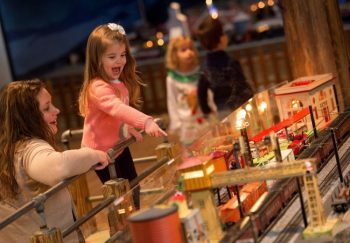 After the lights go on, visitors will be treated to free cider and toasted marshmallows. Peddler’s Village “Gingerbread House Competition and Display” is slated to run through January 5. The “Gingerbread House Competition” features over $2,000 in cash prizes in such categories as Traditional and Authentic Reproduction of a Significant Building. If you really want to get into a Christmas mood in a big way, visit Koziar’s Christmas Village (782 Christmas Village Road, Bernville, 610-488-1110,www.koziarschristmasvillage.com) which begins its 71st season on November 3. Dutch Wonderland Family Amusement Park (2249 Route 30 East, Lancaster, 866-386-2389, www.dutchwonderland.com) is hosting its “Dutch Winter Wonderland” from Now through December 30 on Saturdays, Sundays and select weekdays. Visitors are invited to celebrate the magic of the season at Dutch Winter Wonderland with rides, entertainment, and the Royal Light Show, a spectacular display of thousands of twinkling lights dancing to music. Tickets are $11.99 in advance and $13.99 at the gate. Children age two and under are admitted free.